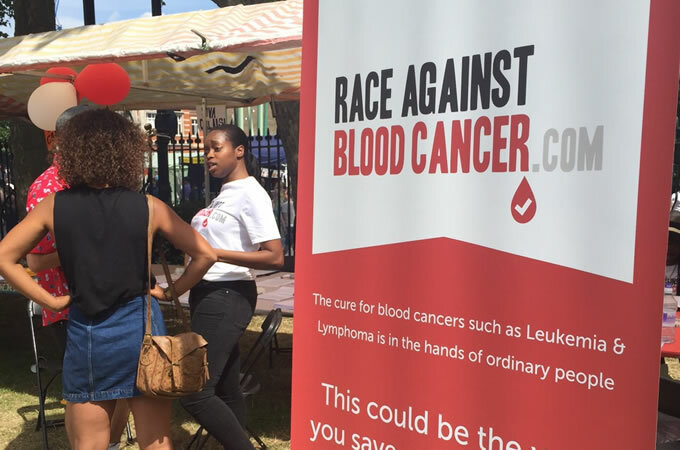 Race Against Blood Cancer makes a huge Brixton Splash! 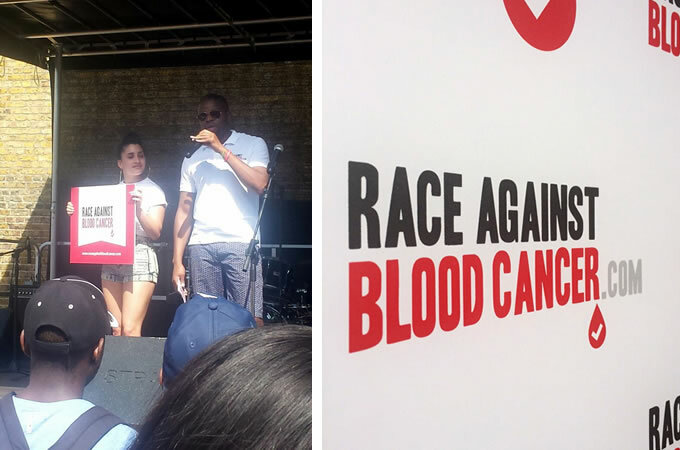 Not knowing what to expect, it’s fair to say that Brixton Splash 2015 was a big success for the Race Against Blood Cancer. 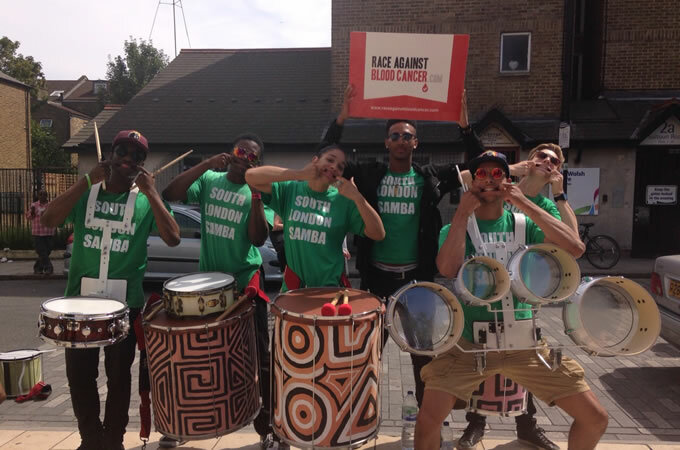 A good turnout was never in doubt, with the annual festival having taken on an unofficial role as the warm up to Notting Hill carnival. 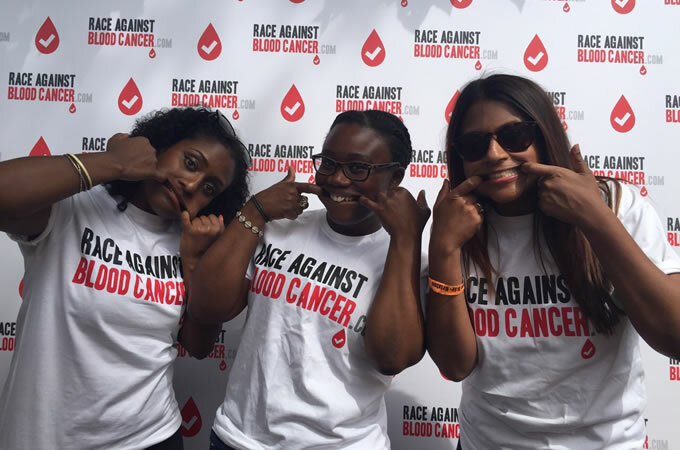 However, if you listen to the surveys and feedback from previous events, it’s not known for being the best place to sign up new bone marrow or stem cell donors, with having a good time being the only thing on peoples mind. We’re pleased to say that despite pessimistic forecasts, we were made to feel very welcome by all, as the team joined in the fun, breaking down a number of previously held myths. The day itself started slowly but that was the case for anyone with a stall. 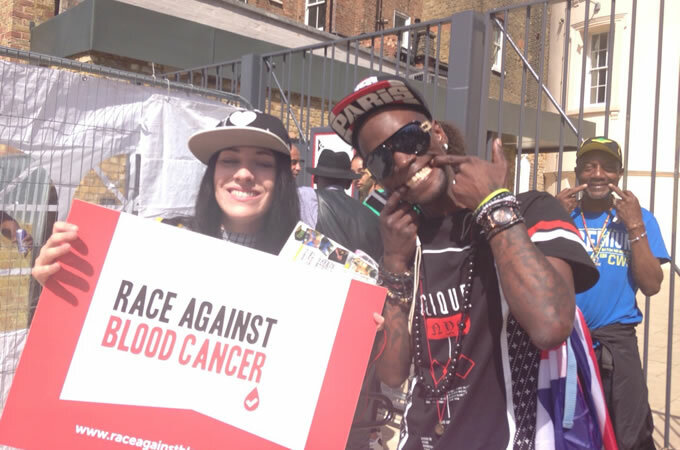 At one point we were stuck on 15 donor registrations for what felt like hours. 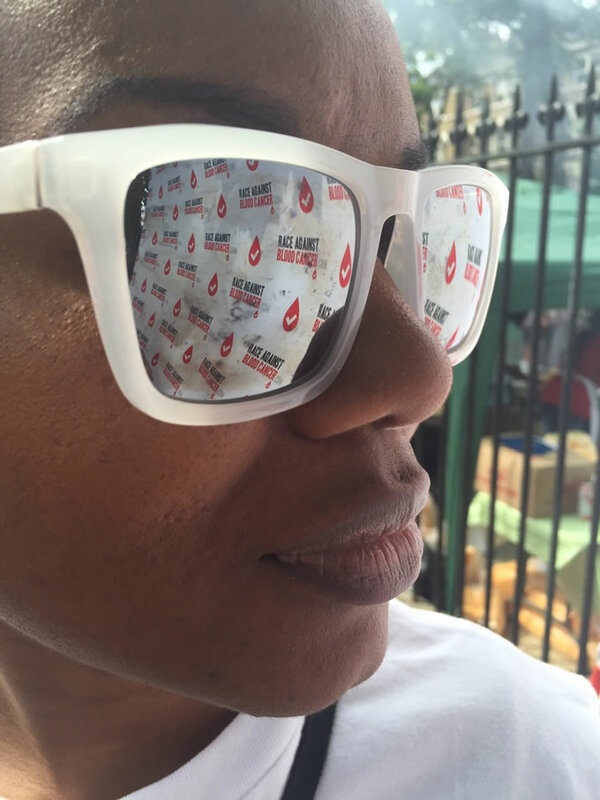 While that’s 15 people whose lives might be saved, with every registration a significant milestone, the team had even bigger aspirations for the day. 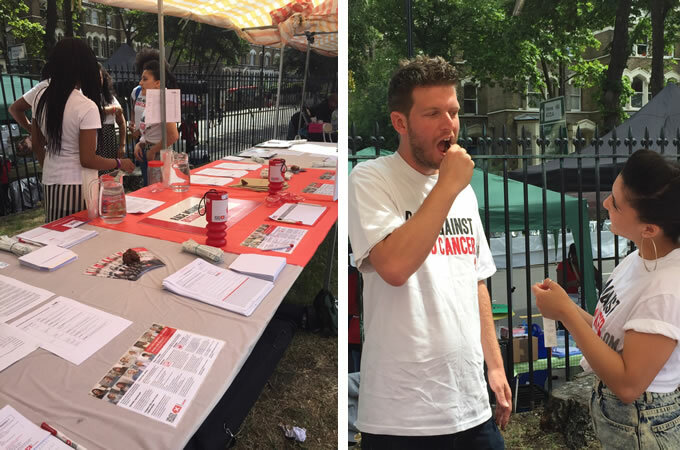 Things really started to pick up when we proactively went into the crowd to engage with the public, geed up by Hayley and Alex taking to the stage to address the audience on mass, informing them of what we were doing and where to find us. From this the vibe changed and as a crowd started to form by our table, in typical British fashion, even more people started to queue, even though many of them didn’t know what for. Overall the team had a fantastic time and the usual high level of enthusiasm that we’ve come to expect was in the perfect setting, with the energy from both young and old being consistently high, despite the sweltering heat. 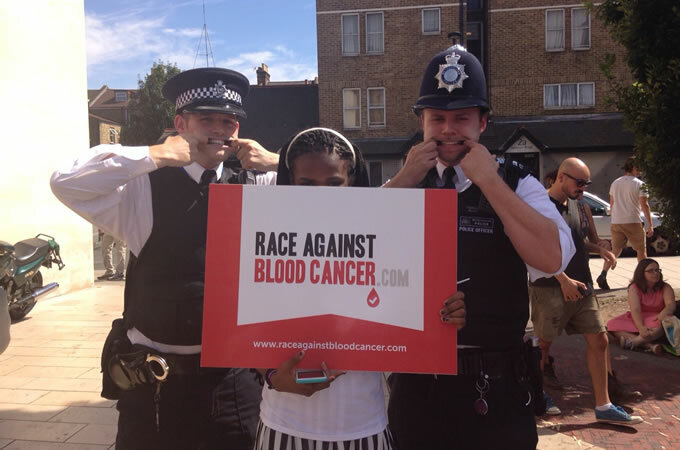 The hearty mix of Jerk Chicken, fresh lemonade and an abundance of Haribo on hand helped to keep everyone happy. A special thanks goes out to today’s volunteers, from those who contributed a few hours to those who were there all day. 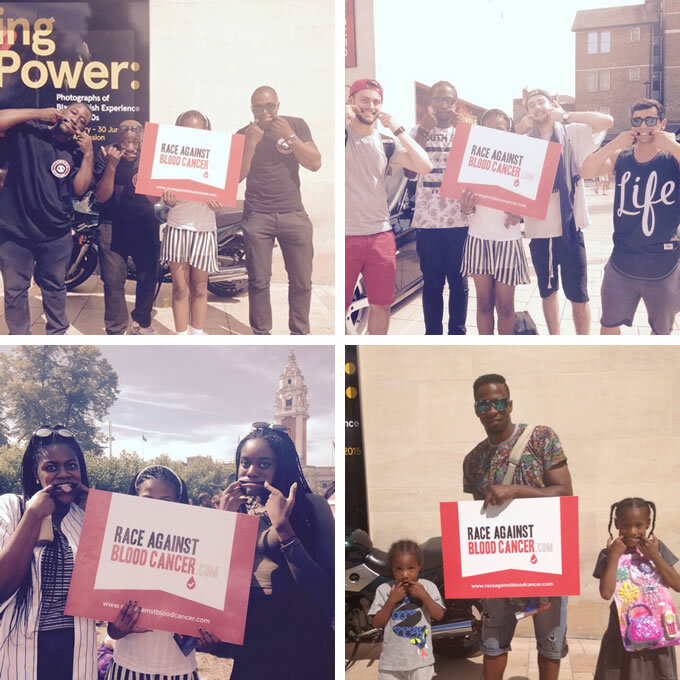 The ethnic mix and age range of people who signed up to become a stem cell donor was a massive highlight, with the team signing up 81 potential life savers and just as importantly, spreading the word to hundreds more. 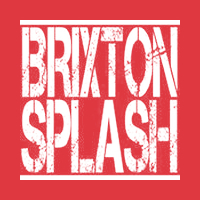 Also, a massive thank you to April for letting us use her shop and to Brixton Splash and in particular Shezal, who kindly accommodated us at the very last minute. Be warned, we plan to go even bigger next year after this year’s very successful trial run. PS. 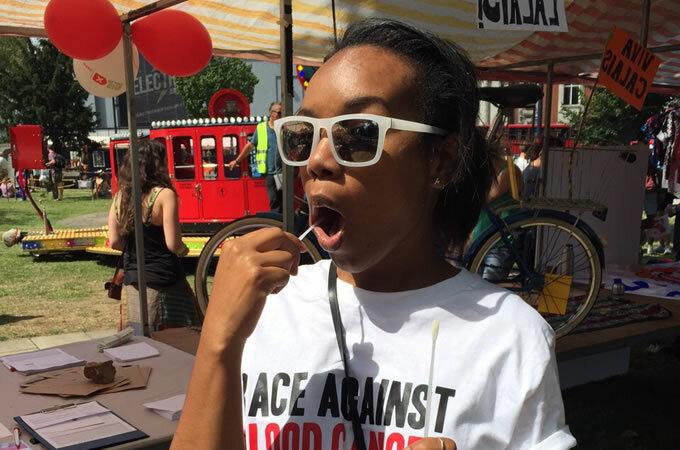 Swab face is coming for you. Check out the pictures below.